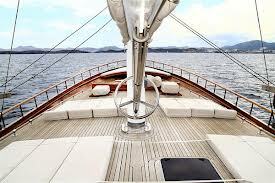 Turkey Yachting Guide takes you through the famous and virtual blue voyage is here!.. Detailed information and pictures of costs and bays of Turkey.. All of yacht tours and charter companies categorised by region and city, marinas, societies and associations, etc.. Discover Turkey‘s Turquoise Coast on a yachting holiday unlike any other. Board a gulet (wooden boats built to a traditional Turkish design) and you’ll spend your days soaking up endless sunshine, napping, reading and relaxing, swimming in crystal waters, snorkelling, fishing and windsurfing, visiting ancient sites, whilst your crew tends to your every need. During the Blue Cruise, most of the places you visit are the wealth of civilizations. To name just a few they are the private beach of Cleopatra, Oludeniz, the eternal fires of mount Olympos, Myria rock tombs, the archeological remains of ancient civilizations, that had also remained under sea. Only Blue Cruise will give you the chance to discover! The sea teaches one: it is gentle but after a point, it makes no concession. Thus to learn about the sea is a bit like learning about life. You may not learn much about the sea from a Luxurious Transatlantic Cruise but you will find the size of the boat on which you do your Blue Cruise ideal for this purpose. In Blue Cruise you can go beyond the ordinary. Most of us live in large cities where the city lights dull the brightness of the stars. On the Blue Cruise you can see the stars very clearly. If your Blue Cruise coincides with the full moon, it is exceptionally beautiful in these parts. BLUE CRUISE yachts are wooden Turkish Gulets and Ketches. These 20-30 metre boats have 5 -10 cabins for up to 20 people. All yachts have a bar, lounge, music system, windsurf, fishing lines, canoe and sunbeds. Cabins have 12 volt electricity and shower with WC. The crew of 3-4 serve you on board as captain, cook and general assistant. Electricity at the ports is 220 volt. You can either charter a whole yacht, if you’re a large group or simply want the place to yourselves, or charter a cabin as part of a mixed group on board. 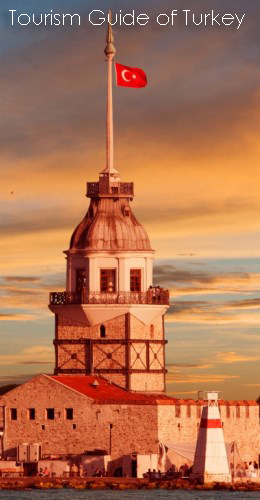 Discover Turkey’s Turquoise Coast on a yachting holiday unlike any other. Board a gulet (wooden boats built to a traditional Turkish design) and you’ll spend your days soaking up endless sunshine, napping, reading and relaxing, swimming in crystal waters, snorkelling, fishing and windsurfing, visiting ancient sites, whilst your crew tends to your every need. During the Blue Cruise, most of the places you visit are the wealth of civilizations.To name just a few they are the private beach of Cleopatra, Oludeniz, the eternal fires of mount Olympos, Myria rock tombs, the archeological remains of ancient civilizations, that had also remained under sea. Only Blue Cruise will give you the chance to discover!